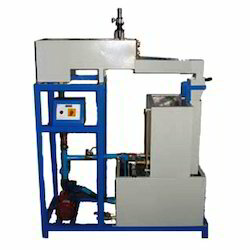 We are offering Notch Apparatus to our clients. We are offering Notch Tank Apparatus to our clients. Advanced technocracy inc. Is preparer, & of discharge over notches apparatus . This equipment is designed to determine the coefficient of discharge by using different types of notches. Keeping in mind the diverse requirements of the clients, we are providing them a qualitative array of Notch Apparatus. Easy to use and requiring minimal maintenance, this apparatus is highly demanded for the purpose of conducting lab experiments. Designed by domain experts, it is highly regarded for providing accurate results. Because of our in-depth industry experience, we are engaged in offering the finest quality V-Notch and Rectangular Notch Apparatus that is well known for its appealing design patterns. All products are developed utilizing superior required material in line with set industry norms. Entire range is available at reasonable price. 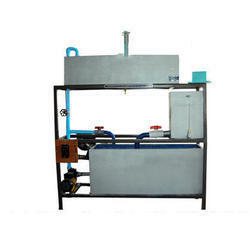 We are one of the leading suplier of Notch Tank Apparatus. Notch Tank of suitable size having arrangement to fix replaceable notches with a set of welded mesh baffles for accommodating "/1" crusher stones for steadying the flow of water. 3)water flow tank 4)a complete set of different sizes of V & Rectangular type Notch for assembling on flow tank.